Ghost Brothers Digital book is available now! This entry was posted aaa in Uncategorized and tagged album review, ghost brothers, new york times on June 19, 2013 by admin. 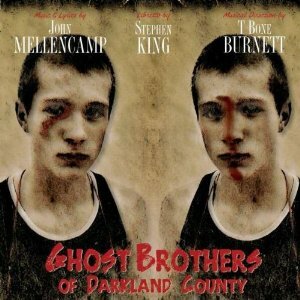 Check out the album review for “Ghost Brothers of Darkland County” at The New York Times! Another grown-up rocker has headed into musical theater: John Mellencamp. “Ghost Brothers of Darkland County,” which had a theatrical production last year in Atlanta, is a grim Southern Gothic tale of tragedy recurring through generations. It has brothers who hate each other, girls they both want, booze, guns and old secrets, with its violence spurred by the Devil and observed by ghosts.